Educate Tanzania » Waste No Drop! 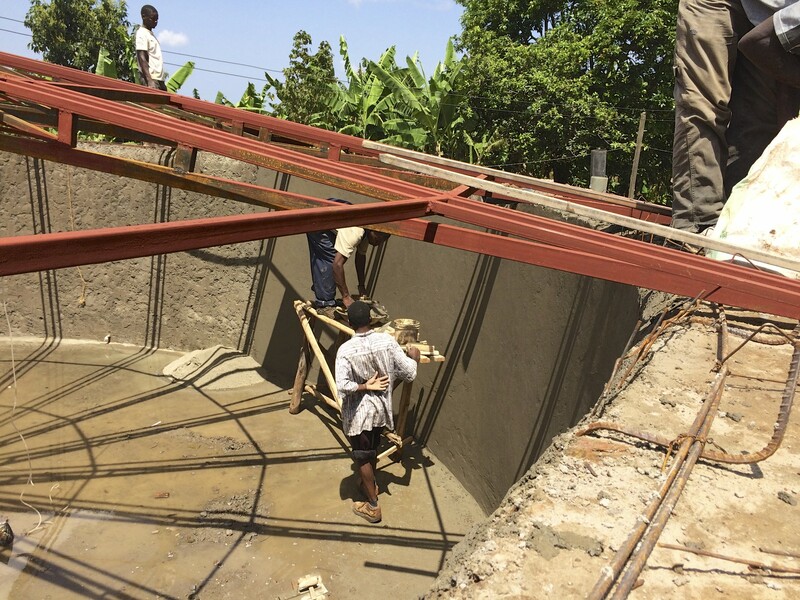 Christopher Jones, Principle at Inventoris collaborated with John Wade (MSAADA Architects), the KARUCO Task Force and the KAD Management Team to design a comprehensive water harvesting system for KARUCO. KARUCO – Karagwe University College – must have water in order to open in October 2016. 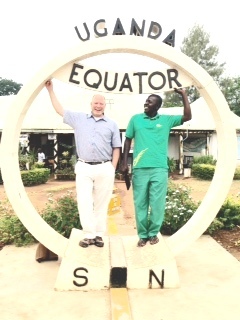 To achieve the team’s goal, Christopher traveled to Karagwe (2-8 hr flights, a harrowing ride through Kampala at midnight, and an 8 hr Land Rover ride with a visit ‘to’ the equator), climbed water tanks, took elevations at the KARUCO site, asked questions, helped define parameters, extrapolated water use for the first 100 students, envisioned campus use (dorms) with agricultural use (crops and livestock) and gave creative problem solving a whole new meaning. At first, drilling seemed the most viable option. But when the team realized that it lacked hard data on where water might be on the 1,000 acre KARUCO site, Christopher suggested we take a more logical ‘next steps’ approach, and focus instead on constructing water tanks to harvest water from each rooftop at KARUCO. The team agreed. This approach will allow ETI and KAD to start now. Our Tanzanian partners are no strangers to water harvesting. You will see very few buildings in Karagwe without harvesting pipes that lead to storage tanks. So the approach is this: Maximize harvest from each rooftop that exists at KARUCO (all buildings) and include water harvesting for each new building to be constructed. Capture rain from each of the rainy seasons that will happen prior to October 2016. Design a comprehensive system that allows for water harvesting, storage, sanitation, distribution and re-use. Christopher presented his findings and summary to the Board of Directors for Educate Tanzania and provided urgency to the planning and design phase that must precede construction of the water tanks that will capture this rainy season’s water (March-May). Join us at the ETI 5th Anniversary Fundraiser on May 29th at Hazeltine in Chaska to hear more from Christopher about Waste No Drop! ETI remains excited to provide water to Karagwe where women and children walk 4- 7km per day to fetch it.